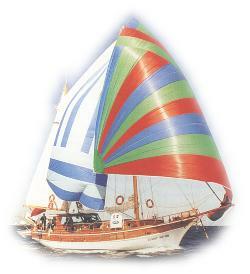 The Bodrum Cup is an annual yacht regatta organized by ERA Bodrum Yacht Club. The primary intention is to promote interest and skill in sailing among the captains and crews of Bodrum's charter fleet. It is also a celebration of the ending of each year's cruising season, a means to bring together in a friendly encounter charter yachts that normally cruise on their own. Büyük Yunus is the 9 times First place winner, 5 times runner up in its category.